The Harry Potter series has some of my favourite books ever, if not THE most favourite! 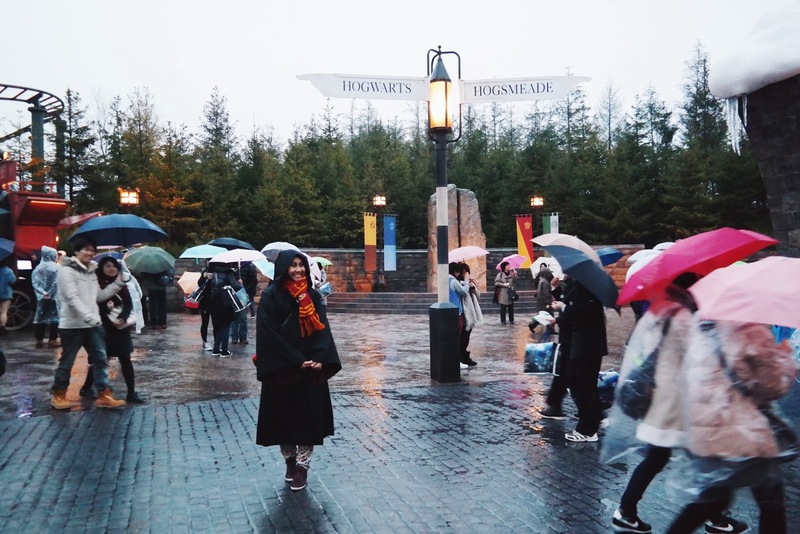 I was excited about the prospect of visiting Universal Studios Japan but I was super giddy just from imagining myself stepping into The Wizarding World of Harry Potter. 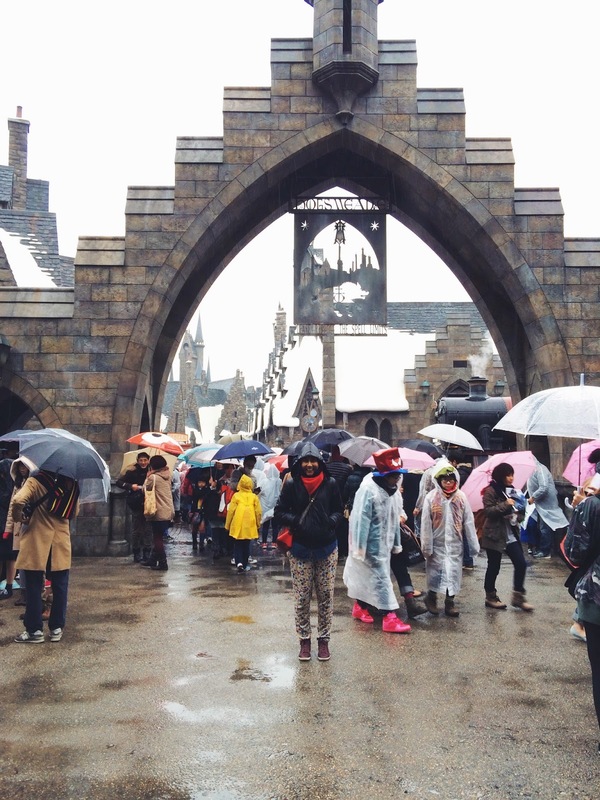 Guys, I literally teared up when I stood in front of this gate to Hogsmeade. 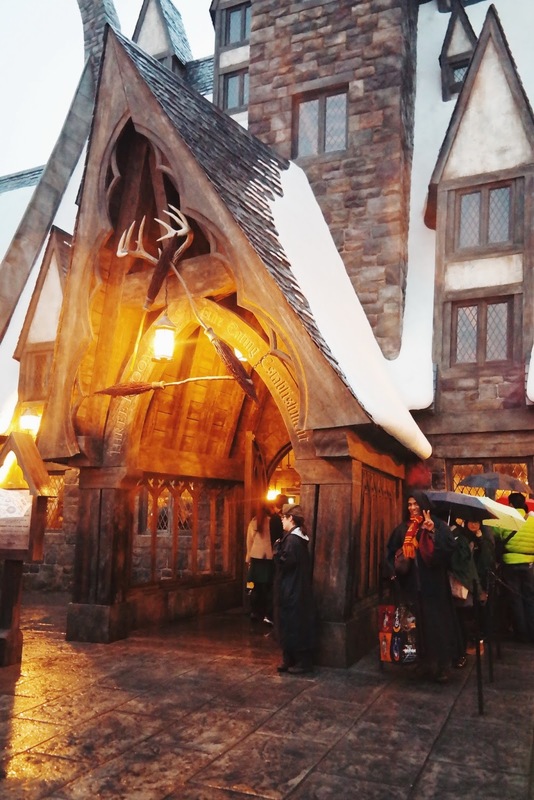 Only for a while though, because I started to yell "Oh my God oh my GOD Shah it's HOGSMEADE why isn't anyone freaking out? Why does everybody look so CALM?" because, honestly, I couldn't understand why all these people were walking in and out of the entrance like they do it every other week (they probably do, most of them are locals). I mean, look, from the picture above you can easily tell which visitor is unfazed by the place, and which one person IS NOT. 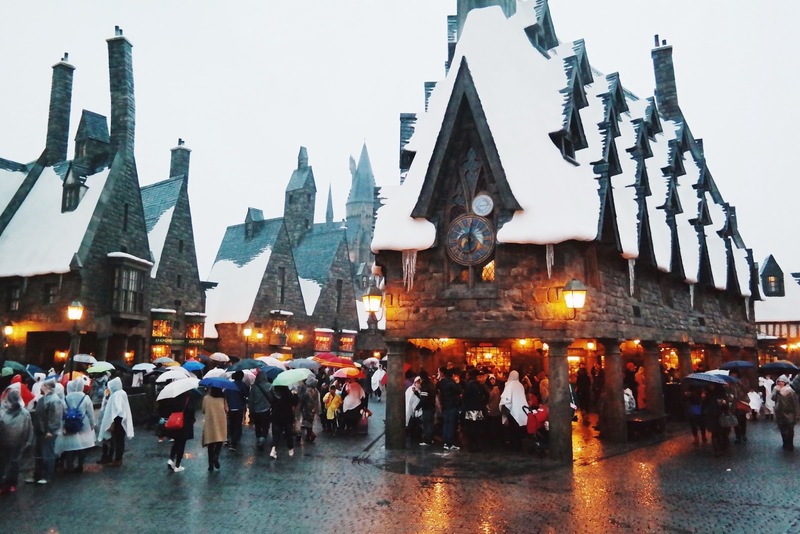 But it didn't seem to matter to anyone that I was screaming and jumping up and down, which is cool, because it's HOGSMEADE and oh my GOD that's HOGWARTS!!! One of the best experiences ever ever ever. 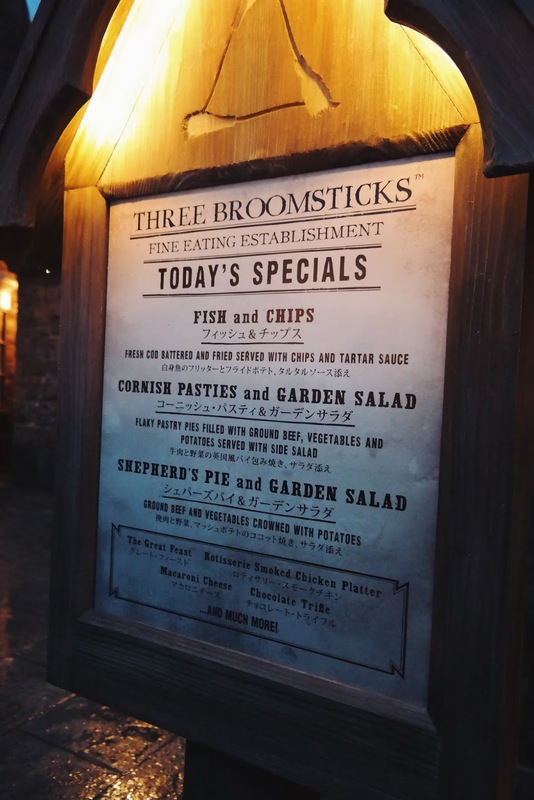 There were all these amazing places from the books: the shops in Hogsmeade, like Zonko's Joke Shop, Honeydukes, Gladrags Wizardwear, and I even had the pleasure of having my dinner in Three Broomsticks! I've always wanted to try Butteerbeer and I finally did! It's amazing to see Hogwarts too, although I imagine the real Hogwarts (I just said "real", but, well, you know what I mean) would be a lot bigger than what I saw. 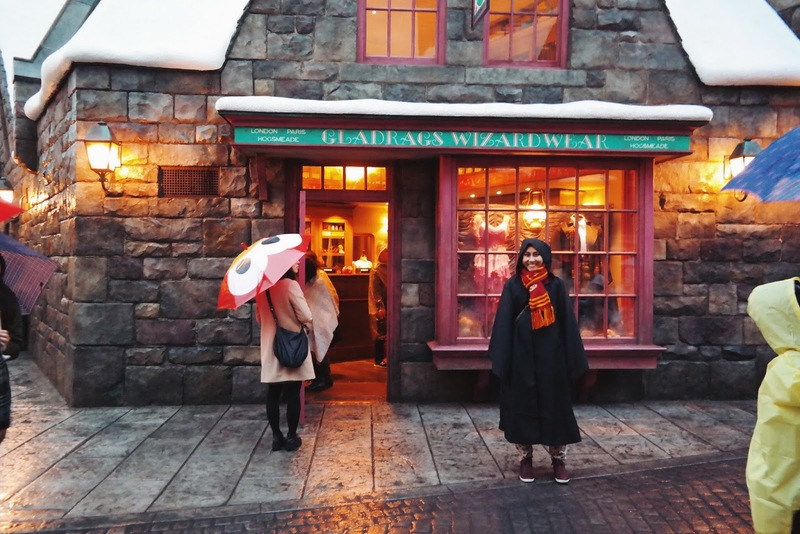 I should probably warn you that this post is photo-heavy and most of them have my happy dreamy Harry Potter geek face in them, like the photo directly above — but I couldn't help it, it was a dream that came true, really. 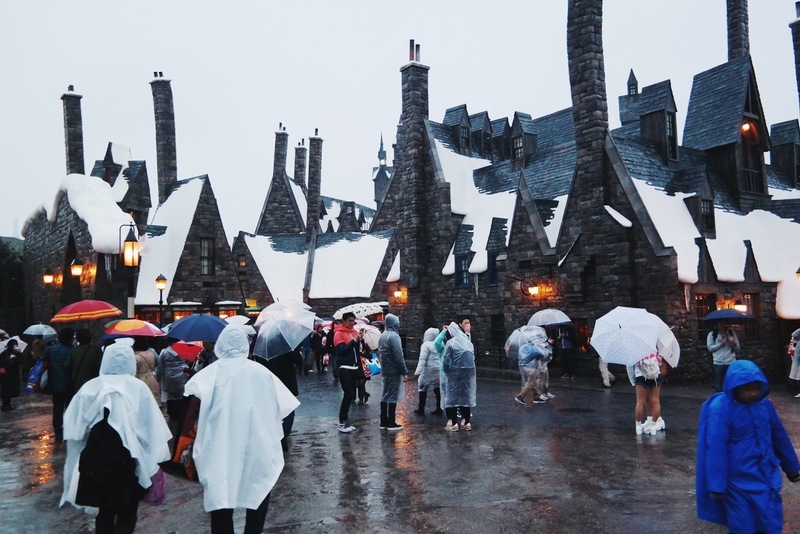 It was raining pretty heavily the whole time I was at The Wizarding World of Harry Potter so I couldn't take too many photos with my camera. Some were taken using my iPhone 5s. 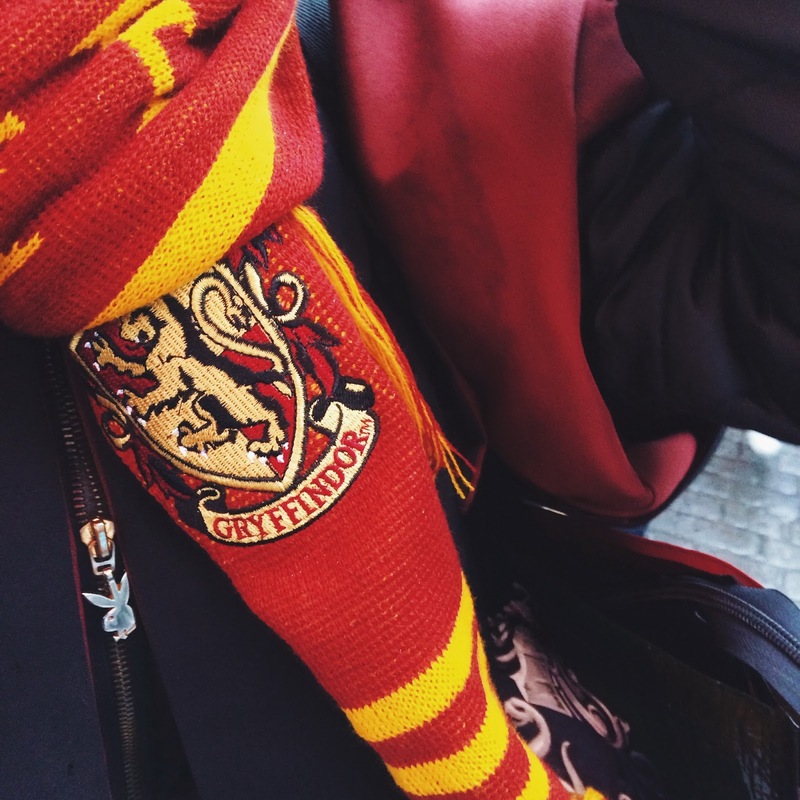 I secretly think that if I were to go to Hogwarts, Gryffindor would be the last house that I would be sorted into. It'd probably be (1) Hufflepuff, (2) Ravenclaw, (3)Slytherin and then only (4) Gryffindor. 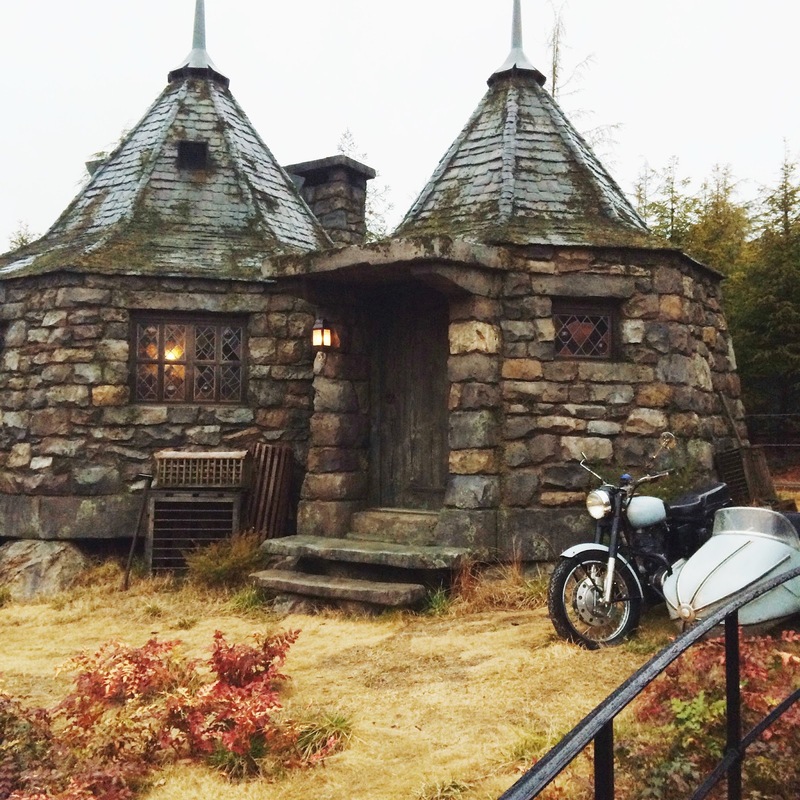 Awww Hagrid's hut and his motorbike — or Sirius' motorbike, I guess? 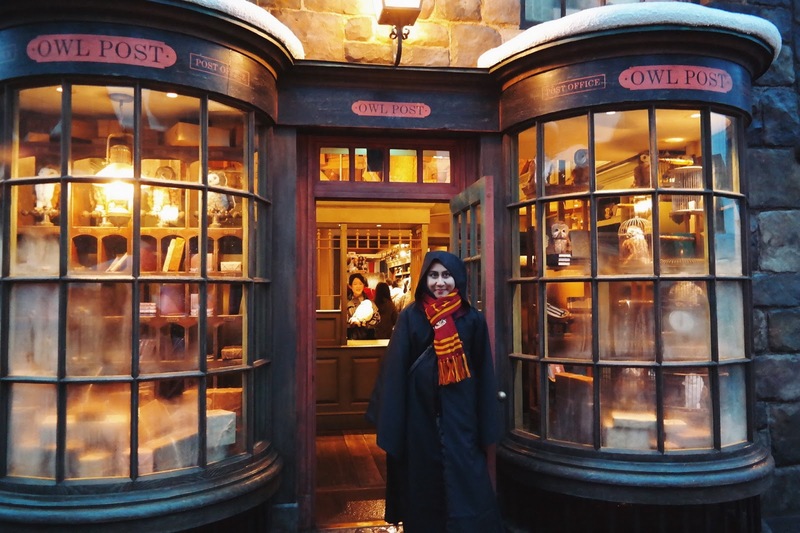 To be clad in Hogwarts' "official" school robe and scarf was not my idea, believe it or not! Shah saw a bunch of people walking around in the robe and he decided both of us should get one each, too. I'll tell you though, they are really not cheap, but we feel like they're worth it! The robe surprisingly offered loads of extra warmth, which was welcoming. The Flight of the Hippogriff ride can be glimpsed a little in this photo, on the most left. 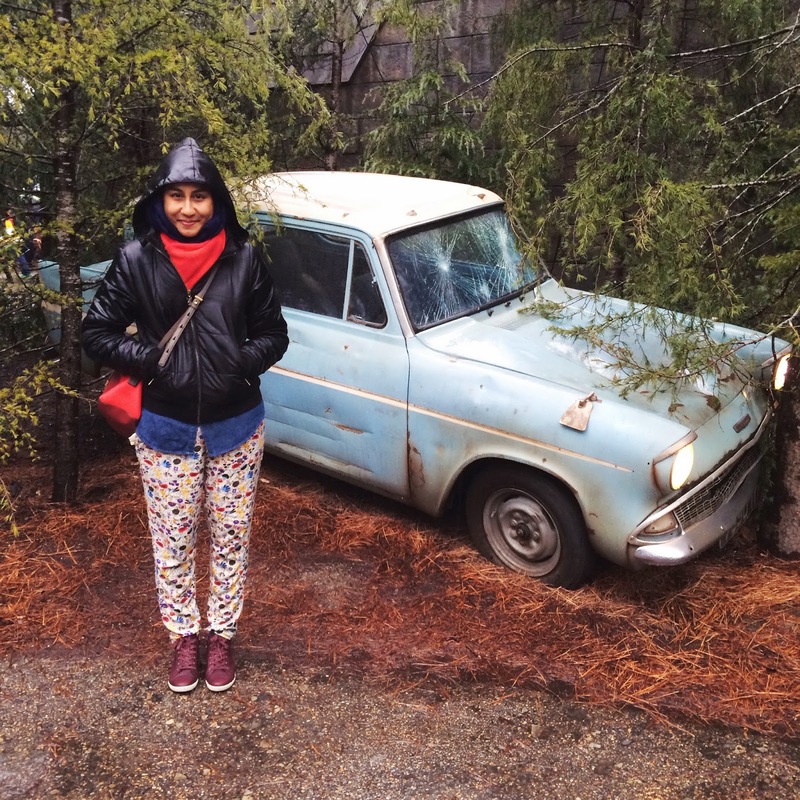 It was such a great fun ride but if you to come here, you MUST try the Harry Potter and the Forbidden Journey 4-D ride! Honestly one of the best, coolest rides I've EVER been on. The waiting line for the ride got as long as 240 minutes — that's freaking FOUR HOURS guyss — which was bananas but Shah and I only had to wait for 10 minutes as we went on it right before the park was about to close! 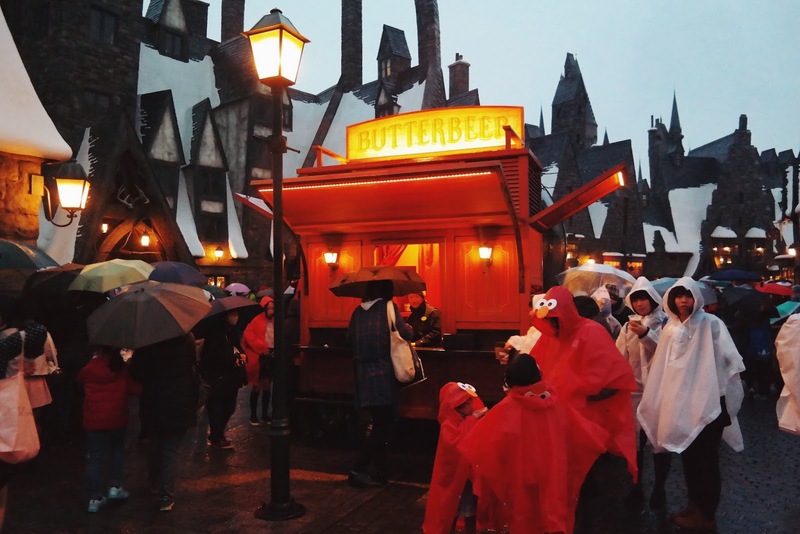 There's a Butterbeer cart right in front of Dervish and Banges which is convenient as it was a cold, cold day. 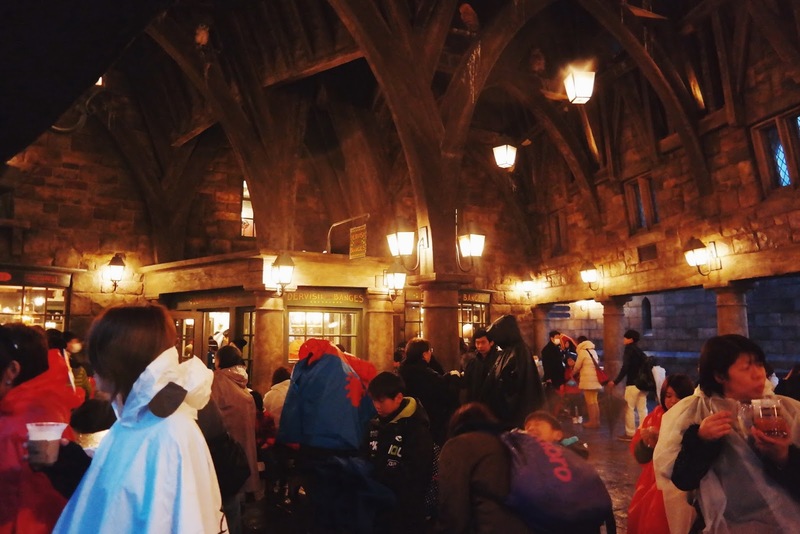 Having a hot Butterbeer seemed to be everyone's priority that day. 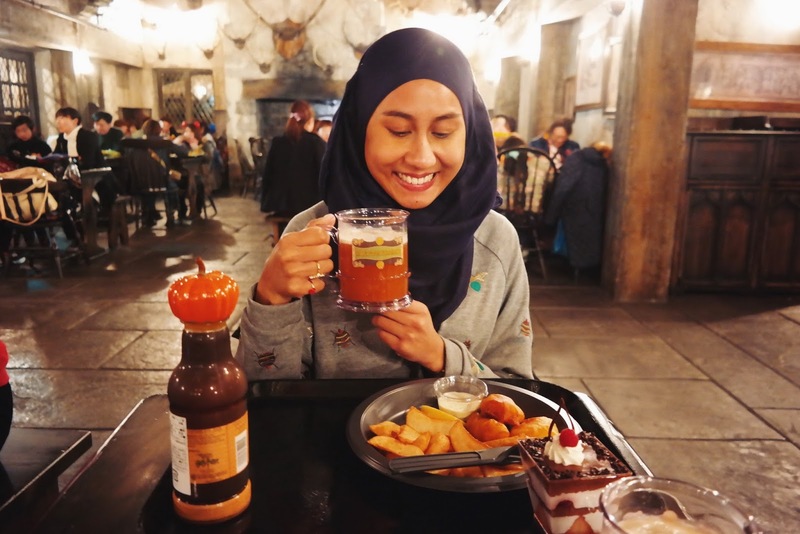 So how does Butterbeer taste like? Well, I've made up my mind that it tasted not quite like how it should be, like it does in the book. It's certainly buttery, and I did feel that sensation of warmth spreading through my body (might I have imagined it?) but it had an odd after-taste that I could not get on board with. On the plus side, that mug is mine! The wand is supposed to pick you, but, ah well. 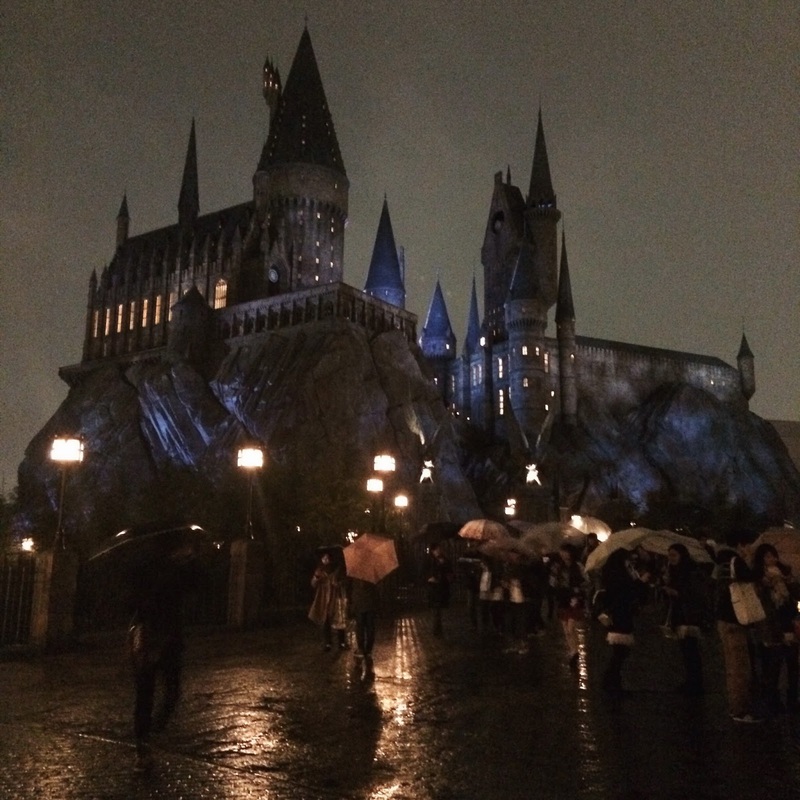 Despite the heavy rain, I had the most fantastic time here at The Wizarding World of Harry Potter in Osaka! This might be a "give an inch take a mile" sort of situation but visiting this place makes me feel like I can't wait to make my way to Warner Bros. 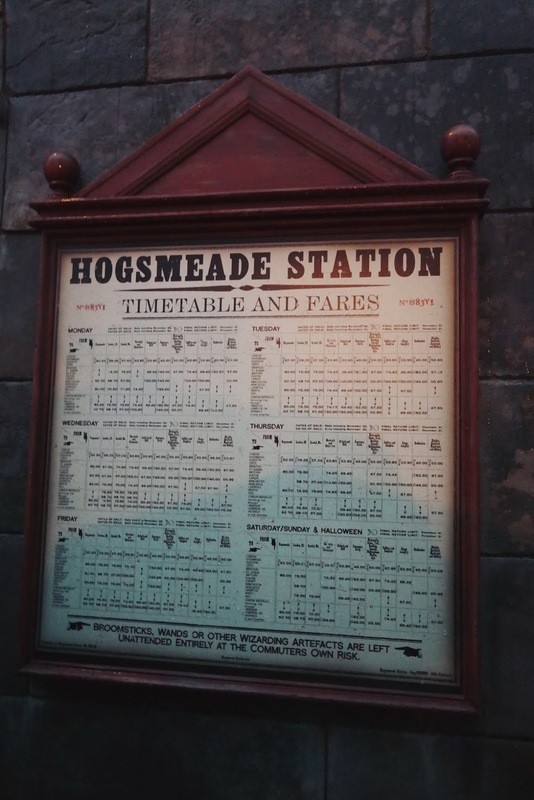 Studio Tour in London for The Making of Harry Potter, and even The Wizarding World of Harry Potter at Universal Orlando Resort! stumble upon your blog while reading another blog and I just can't stop reading your many adventures. 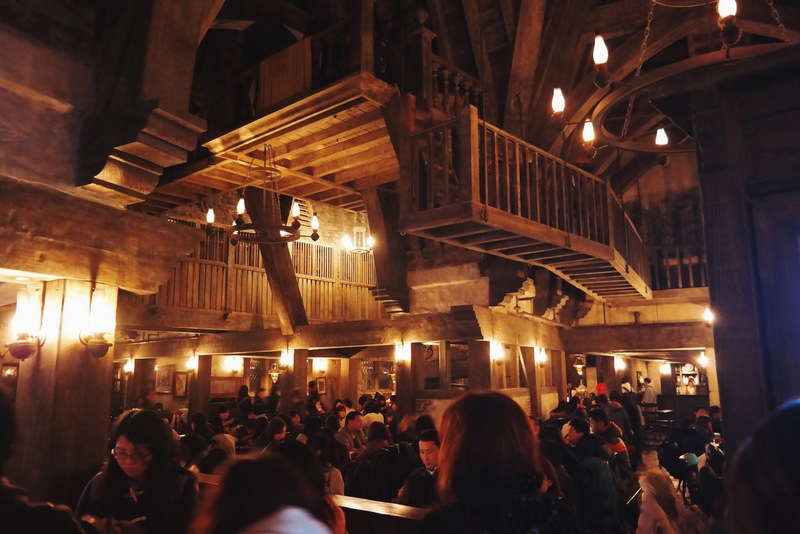 Reading you article about The Wizarding World of Harry Potter in Osaka makes me miss Warner Bros. 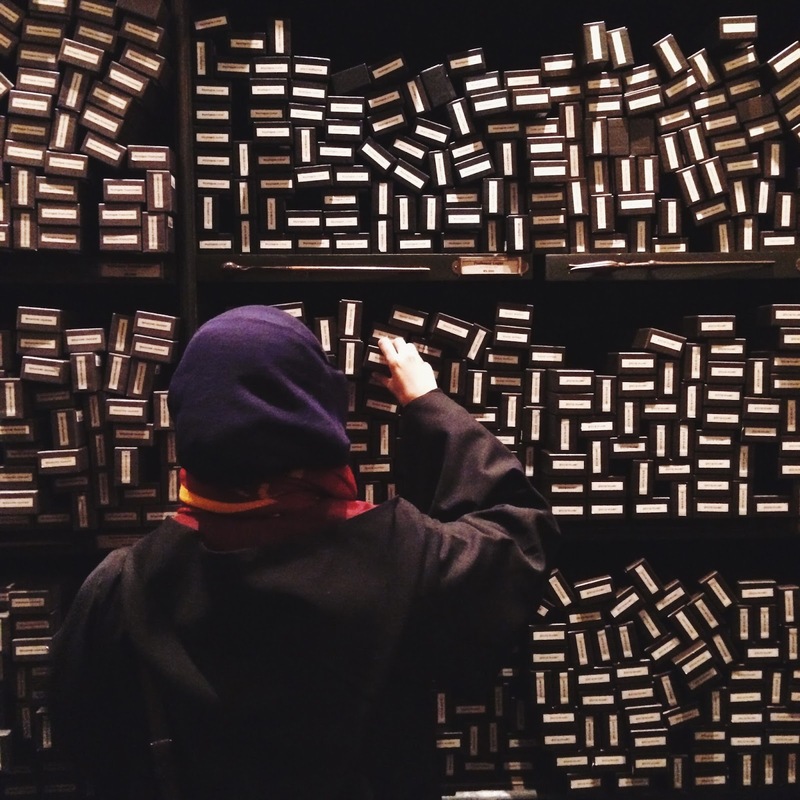 Studio Tour in London for The Making of Harry Potter. It is the best place ever. Reading up on the information and wander through the props used for the movie will sure make you want to jump with glee. Hope you get to visit it soon. I am really glad to find your blog. Keep up the good work. How lucky of you to have been there! 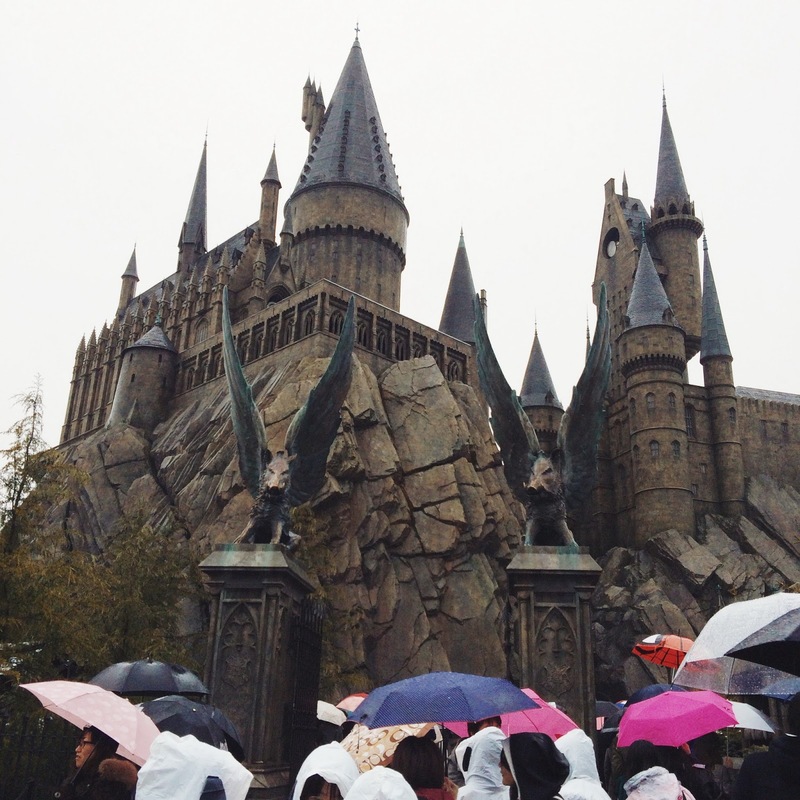 I bet the London one is better than USJ's Harry Potter park; it's my dream to go there someday. I don't know when or if I'll ever get to go, but I'm sure you're right, I'd be jumping with glee all over that place! 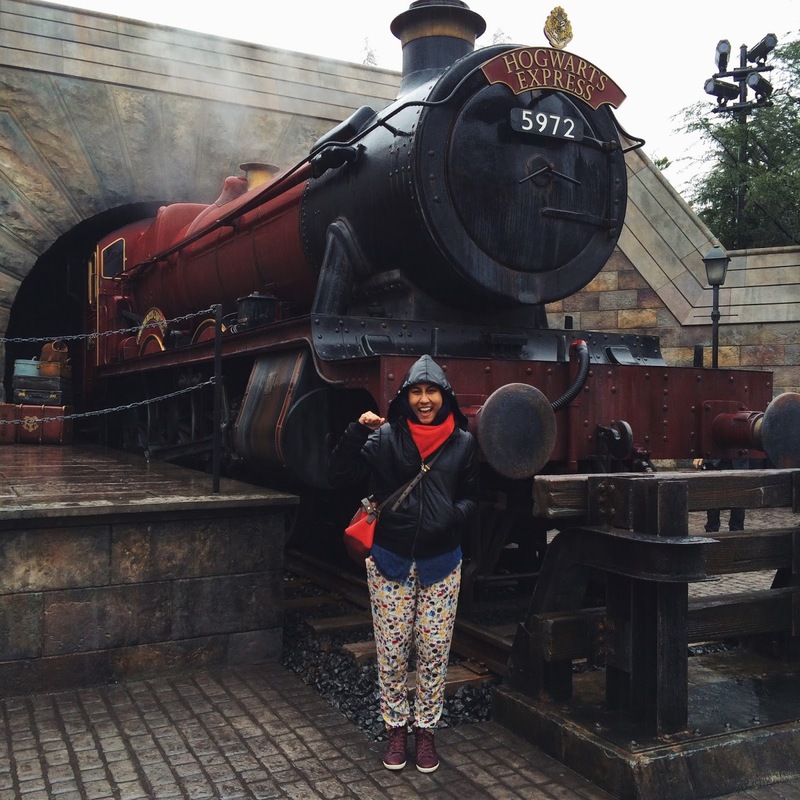 Hi i am going to USJ on Sept when did u go ya? I will be going with my baby and i want to avoid rain.. 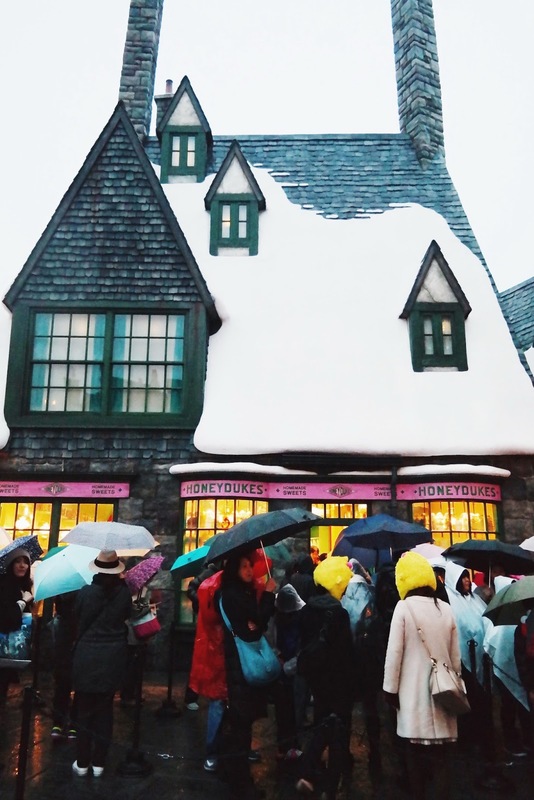 I went in March, but I was in Japan for all four seasons, and there was no guarantee that it WASN'T going to rain, as rain would just come and surprise you all year round. Your best bet would be to check the weather forecast in advance and pick a weekend where there's least chance of rain, but of course, unfortunately the weather can be unpredictable. All the best to you and your family, I hope you all will enjoy your time in Japan!